Alternative Development and Information Centre (AIDC) - An alternative information center doing research, education and training, as well as campaigning and lobbying on the macro issues affecting the development process in South Africa. Association for the Taxation of Financial Transactions for the Aid of Citizens (ATTAC) - Fights for the regulation of financial markets, the closure of tax havens, the introduction of global taxes to finance global public goods, the cancellation of the debt of developing countries, fair trade, and the implementation of limits to free trade and capital flows. Belt and Road Initiative - A development strategy proposed by China's Xi Jinping that focuses on connectivity and cooperation between Eurasian countries, primarily the People's Republic of China (PRC), the land-based Silk Road Economic Belt (SREB) and the oceangoing Maritime Silk Road (MSR). BOND International Develoopment - A network of more than 280 UK based voluntary organisations working in international development and development education. Caritis International - A confederation of 154 Catholic relief, development and social service organisations present in 198 countries and territories. Catalytic Communities (CatComm) - Based in Rio de Janeiro, Catalytic Communities is an empowerment, communications, think tank, and advocacy NGO working on behalf of the city's favelas at the intersection of sustainable community development, human rights, local-global networks, communications, and urban planning. CatComm endeavors to support and empower residents of informal settlements, evolving strategically to support the needs of favela residents and their leaders as they arise. Center for Balkan Development - A network of more than a thousand people in the United States, Canada, and Europe working to help the region of the former Yugoslavia rebuild and create a peaceful and prosperous future. 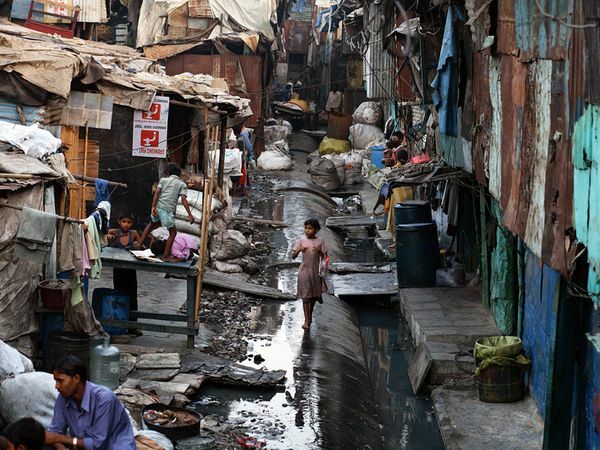 Center for Global Development - Conducts research and analysis on how policies and actions of the rich and powerful affect poor people in the developing world. Examples include aid effectiveness, climate change, education, globalization, health, migration and trade. Center for International Development at Harvard University (CID) - Harvard's primary center for research on sustainable international development. Citizens Democracy Corps (CDC) - CDC's program of sustained enterprise and economic development in Russia and Central and Eastern Europe focuses on small and medium sized businesses that began as private companies or emerged from the privatization process. CDC is a nonprofit organization supported by the U.S. private sector, individuals, and U.S. Agency for International Development. Collection on Critical Global Issues - Contains 210 publications (32,000 pages) in the fields of agriculture and land management, development, environment and sustainability, food and nutrition, natural resource development, science and technology. Developed by the United Nations University Press. Committee for the Abolition of Third World Debt (CADTM) - An international network of individuals and local committees from across Europe and Latin America, Africa and Asia. Also see Publications. Communication Initiative Network - Communication interventions for sustainable development. An advocate for the importance of communications in sustainable development. Council for Urban Economic Development (CUED) - Provides a wide range of knowledge and expertise from real estate development to small business development, technology transfer and exporting. Its membership comes from cities of all sizes, urban counties, metropolitan regional agencies and public/private partnership organizations, utility companies, consultants and academics. Department for International Development (DFID) - UK agency promoting sustainable development and the elimination poverty. Also see Press Office. Deutsche Gesellschaft fur Technische Zusammenarbeit GmbH (GTZ) - A government-owned corporation for international cooperation with worldwide operations. GTZ's aim is to improve the living conditions and perspectives of people in developing and transition countries. Development Alternatives Inc. (DAI) -DAI distributes hundreds of millions of dollars of US government funds internationally, supplied through the United States Agency for International Development (USAID). It has been repeatedly accused of acting as a conduit for CIA spying, destabilisation and psyops operations-in Venezuela, Cuba, Bolivia and other South American states, as well as Eritrea, Ethiopia, Russia and Iraq. Development Gap - Helping to maximize control by poor communities and sectors over their own development in the face of impositions from the North. Development Gateway - Portal for development information and knowledge sharing worldwide. The tools on this website bring together people and organizations around the globe who are working to improve life in developing countries. Development Policy Blog - Provides a platform for aid and development analysis and research and policy comment, with global coverage and a focus on Australia, the Pacific and Papua New Guinea. Earthrights International (ERI) - ERI's mission is to protect humans and their natural environment from abuses occurring in the name of development. EcoViva - Works in partnership and solidarity with poor communities in Central America to achieve environmental sustainability, economic self-sufficiency, social justice, and peace. Eldis - Development policy, practice and research. Browse more than 22,000 summarised documents from over 4,500 development organisations - all available free to download. Share your work with over 80,000 development practitioners. Foreign Assistance and Arms Export Acts (.pdf; 507 pp.) - This volume of U.S. legislation and related material is part of a five volume set of laws and related material frequently referred to by the Committee on Foreign Relations of the Senate and Committee on International Relations of the House of Representatives, amended to date and annotated to show pertinent history or cross references. Foundation for Global Community - The core of activity at the Foundation for Global Community centers around a diverse collection of projects, including: ARISE, (Afghanistan Retraining Initiative for Self-Employment), The Business and Sustainability Team, The Valley of Heart's Delight, Personal Development Courses (Marriage in Changing Times, Exploring a Sense of Place, the Enneagram, and Children and Nature), and Israeli-Palestinian Initiative: Framework for a Public Peace Process. Focus on the Global South - Focus uncovers ways that dominant arrangements and institutions marginalise the vast majority of people in the global south - including the South in the North and promotes alternative ideas, paradigms, institutions and global and regional arrangements based on expanding equity, sustainability and democracy at national, regional and international levels. Fundación Terram - Working for sustainable development in Chile. Germanwatch - Seeks to influence public policy over trade, the environment, and relations between countries in the industrialized north and underdeveloped south. Global Exchange- Non-profit research, education, and action center dedicated to promoting people-to-people ties around the world. Grassroots International (GRI) - An independent agency committed to progressive social change. Provides cash grants and material aid to partners in Africa, the Middle East, Latin America and the Caribbean who are bringing about social change by helping people in their own communities address the root causes of their problems. Humanity Development Library - A large collection of practical information aimed at helping reduce poverty, increasing human potential, and providing a practical and useful education for all: 1,230 publications - books, reports, and magazines - in various areas of human development, from agricultural practice to economic policies, from water and sanitation to society and culture, from education to manufacturing, from disaster mitigation to micro-enterprises. ICLEI - An international association of local and metropolitan governments dedicated to sustainable development. Promotes local action for global sustainability and supports cities to become sustainable, resilient, resource-efficient, biodiverse, low-carbon; to build a smart infrastructure; and to develop an inclusive, green urban economy with the ultimate aim to achieve healthy and happy communities. InterAction - The largest alliance of U.S.-based international nongovernmental organizations (NGOs), with more than 190 members working in every developing country. Members are faith-based and secular, large and small, with a focus on the world's most poor and vulnerable populations. Using its collective voice, InterAction seeks to shape important policy decisions on relief and long term development issues, including foreign assistance, the environment, women, health, education and agriculture. Also see its Blog, Monthly Developments Magazine and Resources page. Inter-American Development Bank (IADB) - Regional multilateral development institution established in December of 1959 to help accelerate economic and social development in Latin America and the Caribbean. InterAction - The largest alliance of U.S.-based international development and humanitarian nongovernmental organizations. With more than 160 members operating in every developing country, we work to overcome poverty, exclusion and suffering by advancing social justice and basic dignity for all. International Centre for Trade and Sustainable Development (ICTSD) - Focuses on development and environment concerns in the context of international trade. International Development Exchange (IDEX) - A social change organization, challenging social and economic forces that marginalize people worldwide, building alliances with partner organizations to confront global systems of inequality. International Finance Corporation (IFC) - Promotes sustainable private sector investment in developing countries as a way to reduce poverty and improve people's lives. IFC is a member of the World Bank Group and is headquartered in Washington, D.C.
International Institute for Sustainable Development (IISD) - Champions sustainable development around the world through innovation, partnerships, research and communications. Journal of Third World Studies - A scholarly and provocative periodical on Third World problems and issues. Jubilee Debt Campaign - Demands an end to the scandal of poor countries paying money to the rich world. Calls for 100% cancellation of unpayable and unfair poor country debts. Kapuscinski Development Lectures - High-level events contribute to the debates discuss development issues such as climate change, human rights, aid effectiveness, Europe-Africa relations, Millennium Development Goals, and more. The lectures honor the name of Ryszard Kapuscinski, a Polish journalist and writer, who died in 2007. Kapuscinski, whose books were translated into many languages, was often named the "Third World Chronicler" or the "Voice of the Poor" for his famous reportages and books describing developing countries on all continents. MDG Monitor - The MDG Monitor shows how countries are progressing in their efforts to achieve the Millennium Development Goals (MDGs). Mekong River Commission (MRC) - An intergovernmental body created by an agreement between the four countries sharing the Lower Mekong Basin: Cambodia, Lao PDR, Thailand and Viet Nam. "Promotes and coordinates sustainable management and development of water and related resources for the countries' mutual benefit." Millennium Development Goals - The eight MDG which range from halving extreme poverty to halting the spread of HIV/AIDS and providing universal primary education, all by the target date of 2015 - form a blueprint agreed to by all the world's countries and all the world's leading development institutions. The complete MDG database can be accessed here. North-South Institute - Conducts research on Canada's relations with developing countries and on a wide range of foreign policy issues. Peace Corps - More than 7,000 Peace Corps volunteers are serving in 77 countries, working to bring clean water to communities, teach children, help start new small businesses, and stop the spread of AIDS. People-Centered Development Forum (PCDF) - Seeking a just, inclusive, and sustainable world that works for all. Private Sector Development - World Bank Group resources: best practice public policy advice for private sector led growth in developing countries. Puebla - Panama Plan (IADB) - A series of mesoamerican initiatives and projects sponsored by the Inter-American Development Bank. RealWorldBank.org (RWB) - An initiative of a group of researchers, NGOs, web developers, and film-makers. It aims to promote a diverse range of views about development issues, particularly those of the people most affected bydominant economic models and excluded from discussions about them. Schumaker UK - Promotes human scale and sustainable systems for social, economic and environmental development: economic globalisation, new economics, sustainable systems, sustainable education, intermediate technology, alternative technology, renewable energy, climate change, global warming, local ecosystems, local democracy, sustainable farming, organic agriculture, complementary medicine and ecological footprints. Seva - A donor-supported non-profit foundation building partnerships to respond to locally defined problems with culturally sustainable solutions throughout the world. Social Development and World Peace - The national public policy agency of the U.S. Catholic Bishops. South Africa Development Fund (SAFD) - Works in partnership with community-based organizations to provide financial and technical support to communities disadvantaged by decades of apartheid policies. Stakeholder Forum - UN organization supporting international civil society organisations concerned with sustainable development. It includes organisations representing all the major groups recognised by the UN including business, labour, parliamentarians, local government, NGOs, indigenous peoples, women, youth, farmers and scientists. SUNS - South North Development Monitor - Information and analyses on international development issues with particular focus on North-South and South-South negotiations. Sustainable Development Dimensions - News and resources provided by the Sustainable Development Department, Food and Agriculture Organization of the United Nations. Third World Network (TWN) - An independent non-profit international network of organizations and individuals involved in issues relating to development, the Third World and North- South issues. U.S. Agency for International Development (USAID) - An independent agency that provides economic, development and humanitarian assistance around the world in support of the foreign policy goals of the United States. Transforming Our World: The UN 2030 Agenda for Sustainable Development - An inter-governmentally agreed set of targets relating to international development. UN Conference on Trade and Development (UNCTAD) - UNCTAD is the focal point within the United Nations for the integrated treatment of trade and development and the interrelated issues in the areas of finance, technology, investment and sustainable development. UN Development Programme (UNDP) - UNDP's mission is to help countries in their efforts to achieve sustainable human development by assisting them to build their capacity to design and carry out development programmes in poverty eradication, employment creation and sustainable livelihoods, the empowerment of women and the protection and regeneration of the environment, giving first priority to poverty eradication. UN Environment Programme (UNEP) - Works to encourage sustainable development through sound environmental practices. Its activities cover a wide range of issues, from atmosphere and terrestrial ecosystems, the promotion of environmental science and information, to an early warning and emergency response capacity to deal with environmental disasters and emergencies. UN Human Development Reports - Global, regional, and national development reports. USAID - U.S. agency for foreign assistance. Also see Policy Resources page. What is Sustainable Development? - Information from around the world on how to deal with such crucial issues as climate change, cleaner production, waste, poverty, consumerism, natural resource management, and governance. William Easterly - William Easterly is Professor of Economics at New York University, joint with Africa House, and Co-Director of NYU's Development Research Institute. He is also a non-resident Fellow of the Center for Global Development in Washington DC. William Easterly received his Ph.D. in Economics at MIT. He spent sixteen years as a Research Economist at the World Bank. He is the author of The White Man's Burden: How the West's Efforts to Aid the Rest Have Done So Much Ill and So Little Good (Penguin, 2006), The Elusive Quest for Growth: Economists' Adventures and Misadventures in the Tropics (MIT, 2001), 3 other co-edited books, and 46 articles in refereed economics journals. World Bank Bonds Boycott Campaign - Criticisms against the World Bank and the IMF from popular movements and organizations and information on the World Bank Bond Boycott Campaign. World Bank Millenium Development Goals - Targets set for reductions in poverty, improvements in health and education, and protection of the environment. The goals have been adopted by the World Bank, the International Monetary Fund, the members of the Development Assistance Committee of the OECD, and many other agencies. This webpage last updated on Monday, October 16, 2017 2:10 PM.